(RxWiki News) Doesn’t watching TV make people couch potatoes? But it feels so good to sit and chill out for a while. Maybe it’s not all bad and there’s something to enjoying the occasional re-run. A recent study tested how people feel before and after escaping into favored fictional worlds. 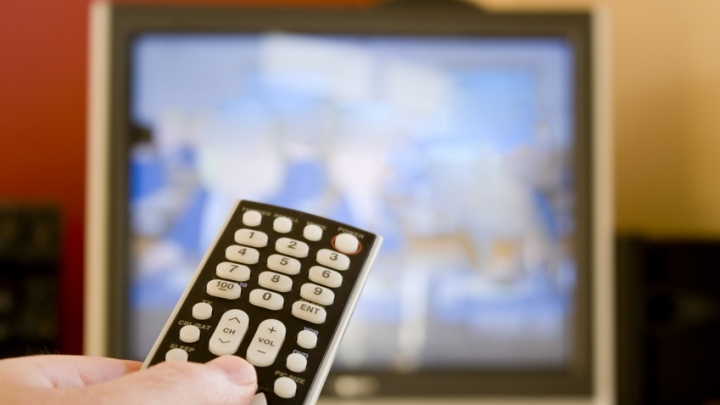 Results found that re-runs can restore emotional energy. "TV is entertainment - get outside for health." Jaye Derrick, PhD, from the Research Institute on Addictions at the University of Buffalo in New York, investigated invigoration from watching television re-runs. It takes a certain amount of willpower, discipline or self-control to compete tasks and function in society. Dr. Derrick goes on to mention that rest and positive social interaction can restore mental resources. But her research suggests that there might be another way to speed up the process. For the first study, 205 age, gender and ethnically diversified adult participants were recruited online. Participants were spit into two groups for self-control tasks. Group one had to perform a writing task designed to deplete their self-control, while group two performed a simple writing task. Next participants were asked to either write about their favorite TV show or list items in their bedroom as a neutral task. Finally, participants were tested for negative moods. Results showed that participants who wrote about their favorite TV show had more mental energy to write longer essays. The group who wrote about their favorite TV show also did better on a hard puzzle afterwards than the neutral group. For the second study, 86 young adults were asked to keep a “daily diary” in the form of an online questionnaire for two weeks. The “daily diary” was used to assess each participant’s daily challenges, mood and TV watching habits. Participants that had reported a difficult day followed by re-watching a favorite TV show, movie or re-reading a favorite book, showed recharged energy levels afterwards. Social interaction can recharge self-control if it is “interesting, mood enhancing or self-affirming.” Otherwise social interaction can also deplete self-control reserves. A connection made with fictional characters is called “social surrogacy”. The restorative function of positive social interaction is duplicated by effortlessly engaging into familiar stories and characters. Dr. Derrick’s research suggested that watching TV reruns acts as social surrogacy. The same results were not found for watching random TV or new TV shows. The key was already knowing what would happen in the show or plot. This study was published in August in Social Psychological & Personality Science. Funding was supported by grants from the National Institute of Alcohol Abuse and Alcoholism. No conflicts of interest were reported.